There’s nothing quite like a beautiful cocktail to set you right. Whether it’s a cheeky after-work margarita, a celebratory Bellini or a restorative martini—there’s no denying that a divine cocktail is the maraschino cherry on top of a good day. From covetable rooftop terraces to decadent hidden cocktail dens, we’ve hand-picked Auckland’s best cocktail bars, for all your tippling and cheers-ing needs. Craving a cocktail as well as a tropical escape? 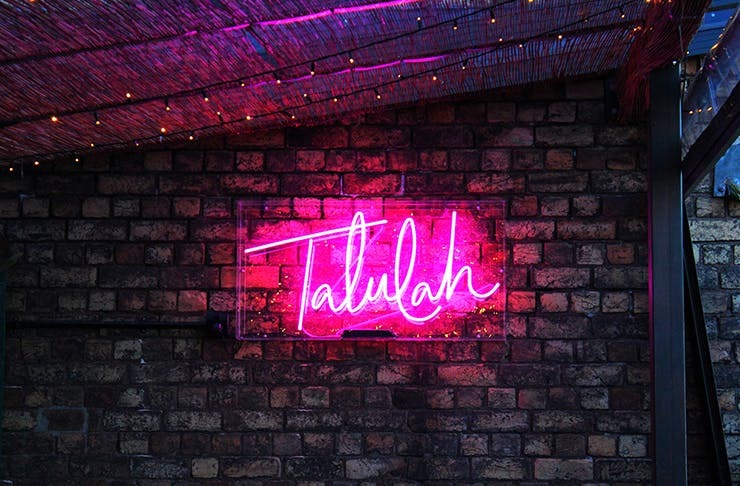 Look no further than Talulah. Propped above sister bar The Chamberlain, this nifty little tiki bar is your inner city escape to a fun, fabulous and cocktail-filled paradise. Take a seat on their harbour-facing balcony and sip your way through their delicious menu of boozy fish bowls and fruity favourites, right into a tropical dream. If good brews and waterfront views sound up your alley, then a drink or two at Coley & Punch is in order. Named after legendary bartender Ada Coleman, this viaduct hotspot continues out her legacy by rolling out a shining cocktail list. It includes her signature ‘Hanky Panky’ among other liquor-rich little numbers. Speaking of impressive lists, here you’ll also find a selection of over 250 international whiskeys sourced from all over the globe. One of the best cocktail bars in Auckland comes with a large deck and sea views—The Parasol and Swing Company. Their cocktail menu includes a selection of vintage cocktails for those who enjoy their Manhattans on the stronger side. Order by the glass or bottle, it includes the Mayfair Seduction and the Ivy League. Not only is Debrett Housebar one of Auckland’s best cocktail bars, but it’s also most certainly one of our city’s most breathtakingly beautiful bars. Whether you’re swanning by for a chic after-work tipple or settling in for a night of casual glamour, you’re sure to feel just fabulous after a visit to this inner city gem. Take yourself up to the lavish 1920’s art deco bar, and stylishly sip your way through their stellar line up in drinks, from much-loved vintage classics right through to a trendy espresso martini. Known for its impressive whiskey offering, The Jefferson is also one of the top places to hit up for some of the best cocktails in Auckland. Choose from their short but sweet list of delicious mixes named after some of the greatest stars of yesteryear or have the talented team mix up a little something special for you. True whiskey connoisseurs, the bartenders here will be able to blend your favourite drops into a bespoke tasty concoction. As the only Auckland bar that pairs their cocktails with majestic jelly creations from the Jellyologist, it comes to no surprise that Win-Win is one of Auckland’s best cocktail bars. On a mission to bring the bright lights of Vegas to New Zealand, you can bet your bottom dollar that this Ponsonby bar will show you all kinds of fun. Here you’ll find fun and frivolous signature cocktails, espresso martinis on tap as well as a mix your own 50/50 martini menu. Top this off with a boogie to their eclectically groovy soundtrack and you’re in for a winner of a time. If you appreciate the art of a good mix and stir, then you’re in for a treat upon your visit to Mea Culpa. More than mere mixologists; the bartenders here are true masters of their craft and are skilled at whipping up cocktails that are liquid works of art. With a cocktail menu that changes every fortnight, you’ll be surprised and delighted each time you pop into this iconic Ponsonby Road establishment. There’s really only one way to best enjoy a cocktail or two—and that’s with a killer view. Head on up to the 16th floor of Auckland’s SO/ Hotel and prepare to be dazzled. Not only do gorgeous panoramic views of Auckland harbour, Rangitoto and the North Shore await, you’ll also find a glittering menu boasting some of the finest drinks out. Complete with eclectic yet fiercely glamorous décor, it’s no wonder this inner-city gem is considered one of Auckland’s best cocktail bars. 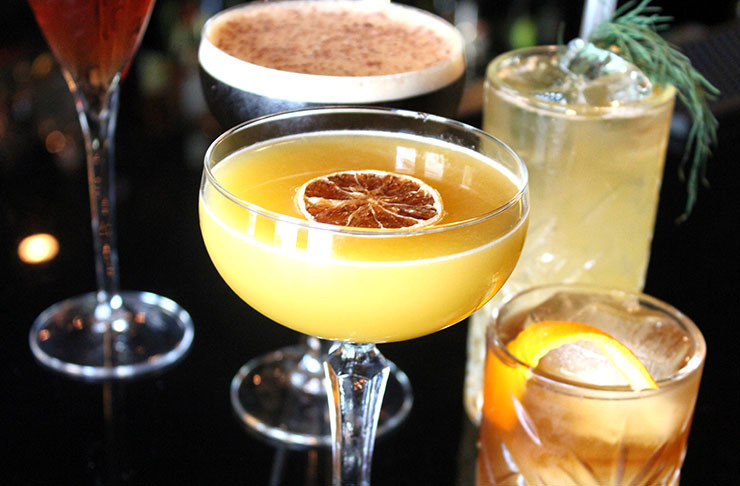 Home to some of Auckland’s best cocktail bars, Deadshot is another one of the Ponsonby precinct’s pride and joys. 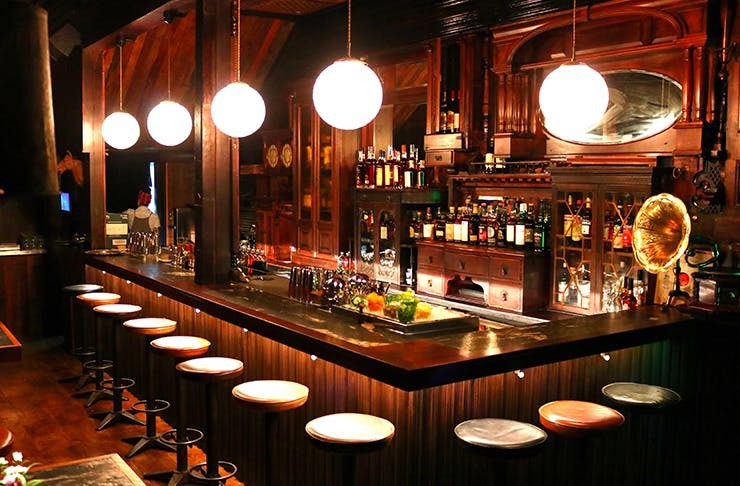 Decked out in gorgeous Edwardian décor, a visit to Deadshot will make you feel like you’ve stepped back in time to yesteryear and it is filled with some of the most beautiful and covetable cocktails. It’s safe to say that a visit to Deadshot is decadent for all your senses. Marked only by a door with a brass ornament of its namesake fruit, Pineapple on Parnell is one of Auckland’s best—and most hidden—cocktail bars. Stumble across this decadent den and you’ll be treated to cocktails that are as easy on the eye as they are on the tastebuds. Dark, sultry and plush, the interior here is a swanky nod to the 80s, and an utterly it the most divine spot for sipping the night away. Vodka Room is where you want to be for all things...vodka. With more than 100 different kinds of vodka behind the bar, a kitchen that’s open til 3am as well as luxurious karaoke rooms, this cocktail bar is particularly special. Vodka Room is authentically Russian through and through. Downstairs is a restaurant which backs onto a sun-drenched courtyard. And upstairs is where the party starts with two karaoke rooms, “The Bear Room” and “The Kalashnikov Room,” complete with “push for vodka” buttons. 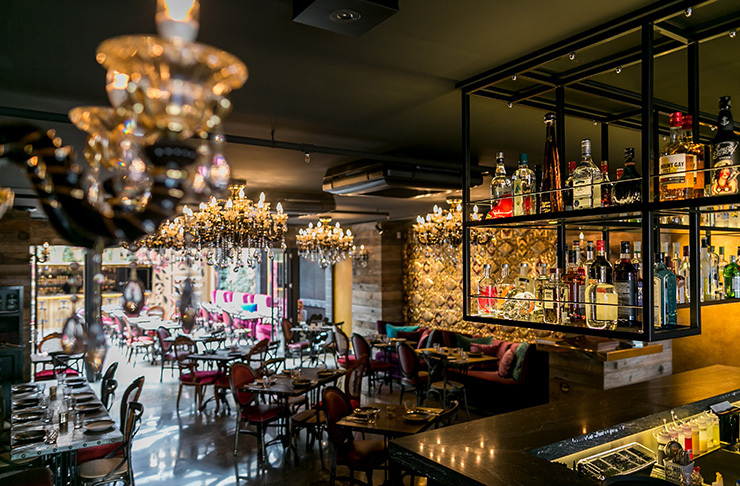 Whether you’re dining in, sipping on some cocktails or keen to belt out some tunes with the squad, Vodka Room will be sure to show you the best time. 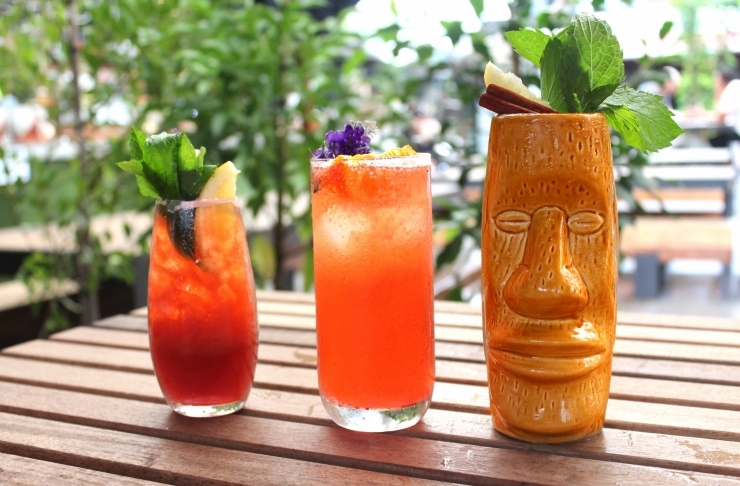 Liquor-laden shakes, gigantic punch pitchers, and flaming tiki bowls—you name it, Bedford Soda and Liquor has it. With two locations in Takapuna and Ponsonby, Bedford dishes out some of the most fun and innovative stirs in the city. With everything from tall quenchers to unique spins on classic cocktails, right through to ‘steaming’ dry ice kettles on the drinks list, you can be sure that a visit here will treat you to some of Auckland’s best cocktails and be nothing short of a good time. Sitting at the base of the Sky Tower, lit with festoon lights and a glass roof made for star gazing, this a perfect Instagrammable venue. Their cocktail list is something to get excited about, with Glass Goose signature drinks like the Basil Grande with Grey Goose vodka, Chambord, grand mariner, cranberry, fresh strawberries and basil. And they absolutely nail the classics too. You won’t be disappointed with their espresso martini! This Auckland cocktail bar is a fantastic spot to wow your date. 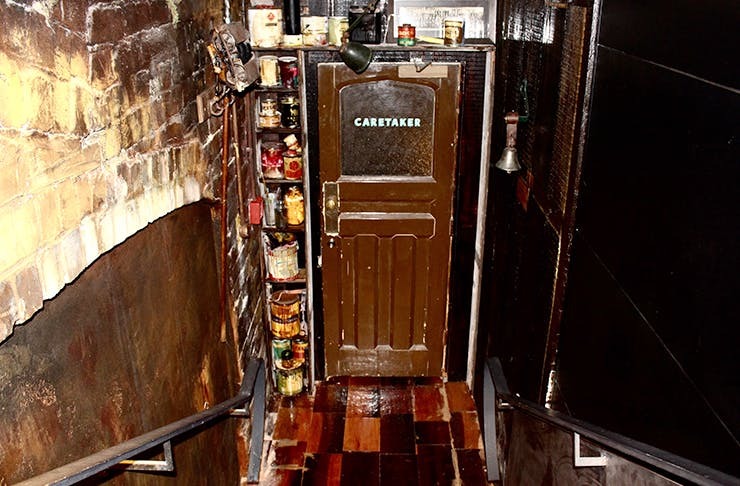 Hidden below the bustle of Britomart, Caretaker is a hidden gem that’s well worth discovering. Venture down an unassuming staircase and through the marked door and you’ll be sweetly rewarded with this underground mecca that’s home to some of Auckland’s best cocktails. You won’t find a traditional cocktail list here, though. In fact, you won’t find one at all. Instead, the charm of this place is being able to let the expert mixologists take the reins and conjure up a bespoke, vintage-inspired cocktail to fit each and every one of their guests’ unique tastes. As an establishment dedicated to the two best things in life—cocktails and dumplings, it comes as no surprise that Xuxu takes its rightful place on this list of Auckland’s best cocktail bars. Tucked behind a foliage fence in the heart of Britomart, this chic hidey-hole has a succinct but stellar drink, dumplings and, of course, cocktail list. 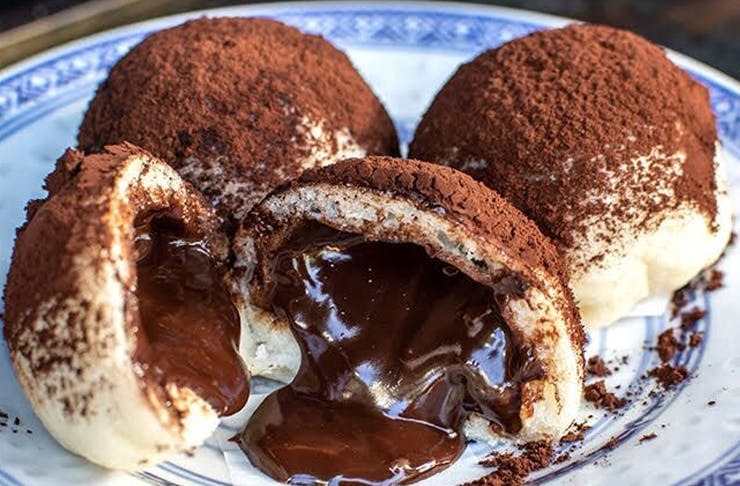 Pair your International #2 or spicy Xuxu Martini with any one of their savoury or dessert dumplings (yes you read that right) and you’re sure to be in for a tantalising treat. Looking for more great bars? Here are the best in Auckland.